Perth Bin Hire offers one of the largest ranges of skip bin sizes in Perth from small 2cubic metre skip bins to large 30 cubic metre bulk bins. We have skip bins with designs and lifting systems suitable for the removal of both residential waste and commercial/industrial waste. We have two lifting systems, lift on and hook lift, offering greater convenience for varying rubbish removal needs. Check out their details below. Whether you need a traditional skip or a hook-lift bin depends entirely on how much waste your job will generate. To help you decide on the right skip bin hire for your needs, our experienced staff will assist you in determining what dimensions will best serve your needs. Our skip bins come in 13 different sizes to accommodate every commercial or residential job View our Skip Bin Dimensions. 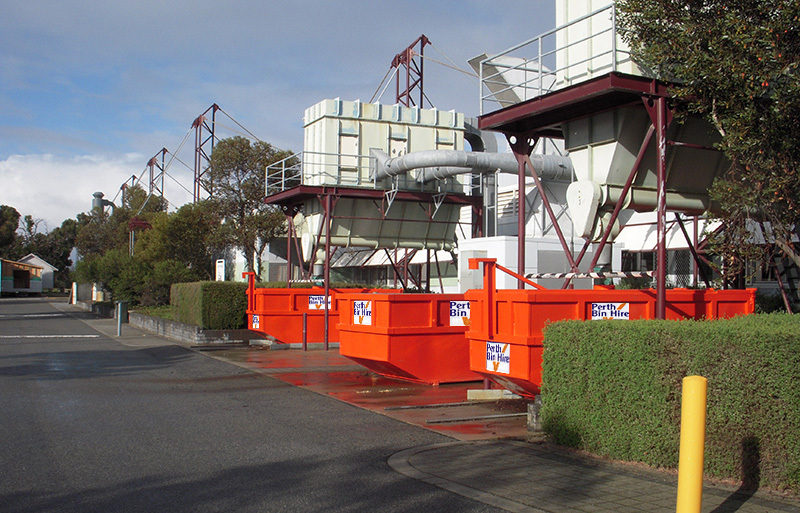 Our bins are manufactured in right here in Western Australia, making them the best skip bins Perth has to offer. Firstly, we like to support local businesses whenever possible, and secondly, we can be assured of the quality and strength of the product. Every Size to Every Suburb! 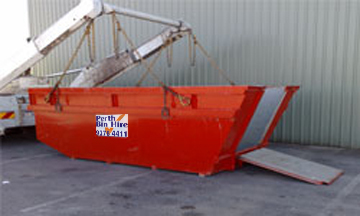 If you are looking for skip bins in Perth, we have you covered. We supply skips to over 220 suburbs across Perth – just see our service areas. Weight and mix are not an issue. The lift-on system helps avoid scraping on driveways and lawns. The system also allows for more than one skip bin to be delivered to a site at the same time. The hooklift bins can be ordered by anyone in the Perth Metropolitan Area, but are most popular with commercial and industrial customers – including bobcat operators, factories, builders, demolition companies, roofing companies, recyclers, local government etc. Bins range in size from 10 cbm to 30 cbm. They have large rear doors which open right out, allowing users to walk in. Click here for bin sizes and dimensions. We can have bins and waste disposal solutions custom manufactured here in WA. So if your business or department is looking for highly specific bins to solve a specific problem contact Perth Bin Hire. We have done this very successfully for numerous clients. 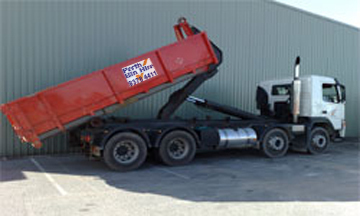 Perth Bin Hire began waste management and skip bin hire 25 years ago, and since then has been continually developing its reputation as the most reliable hire company for skip bins in Perth. Contact us for Today! Call us on 08 9378 4411, fill out the enquiry form below or get an instant quote here.